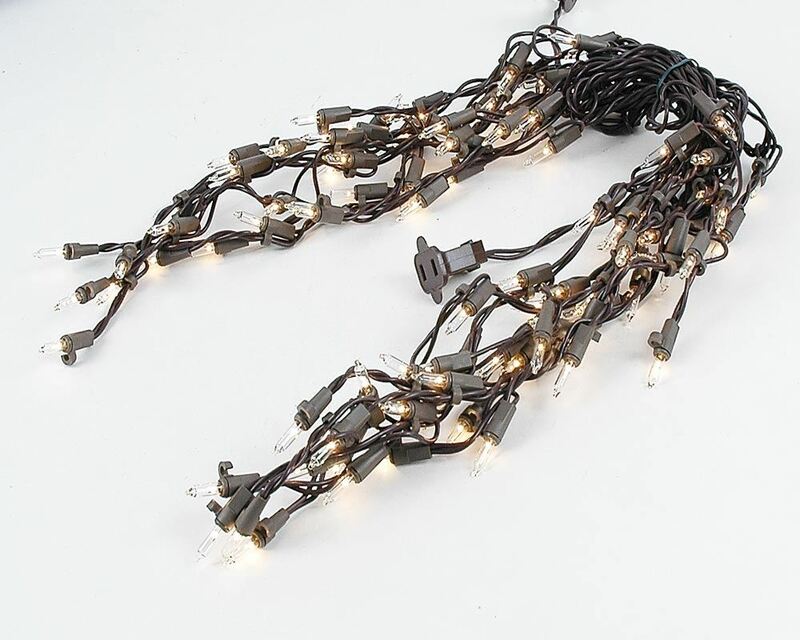 Commercial Grade Medium Drop Clear Brown Wire Icicle Lights create perfect lines of winter bliss for any residence, commercial building or municipality. 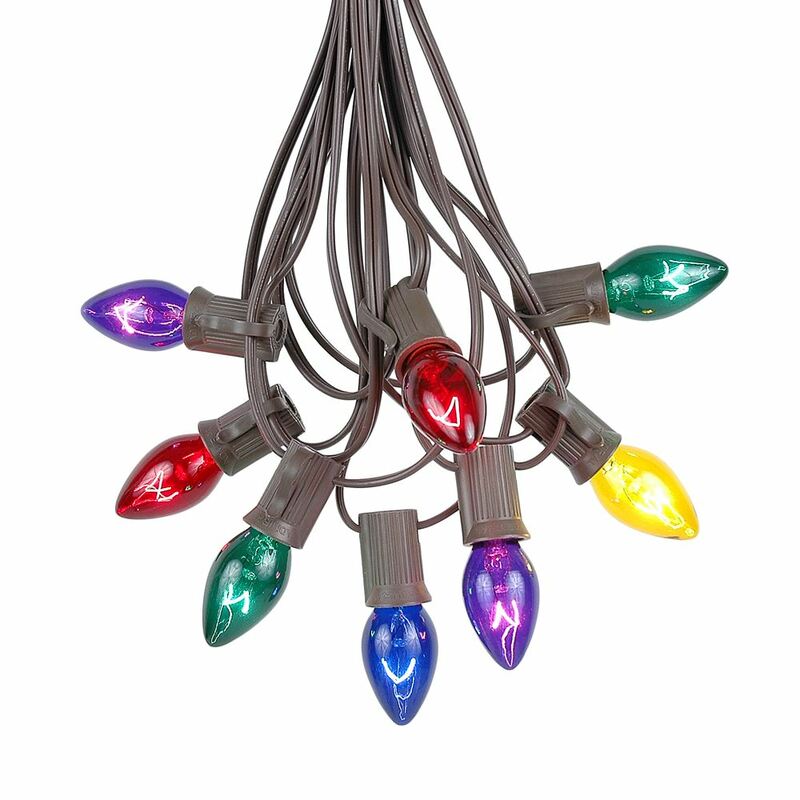 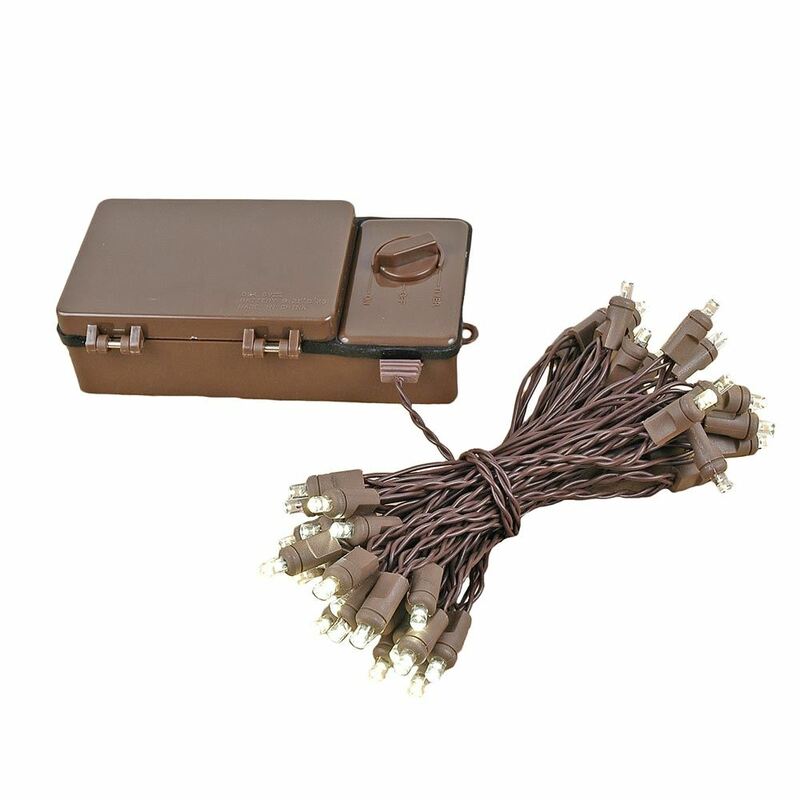 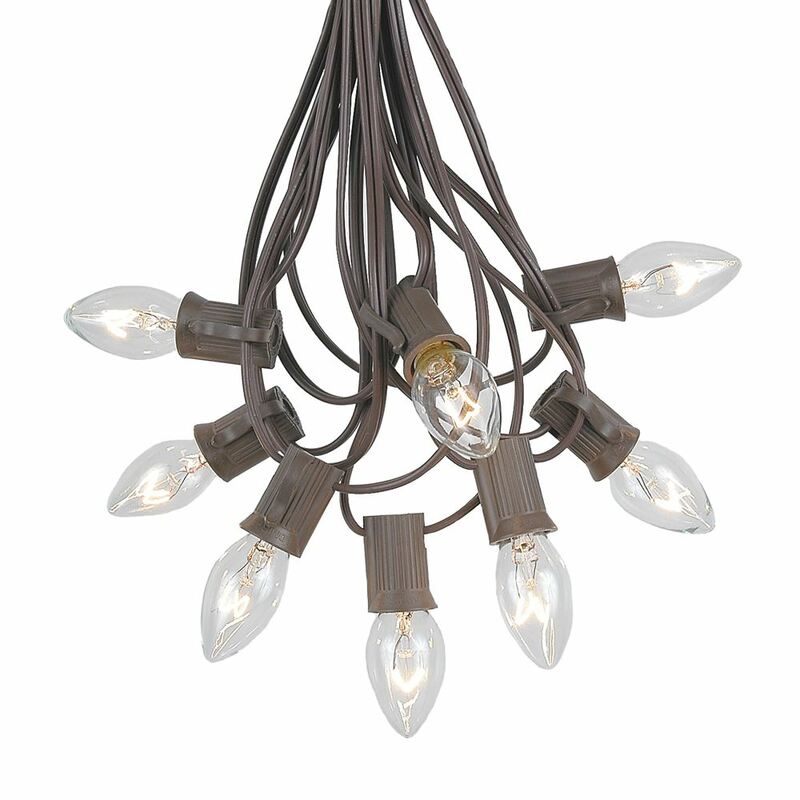 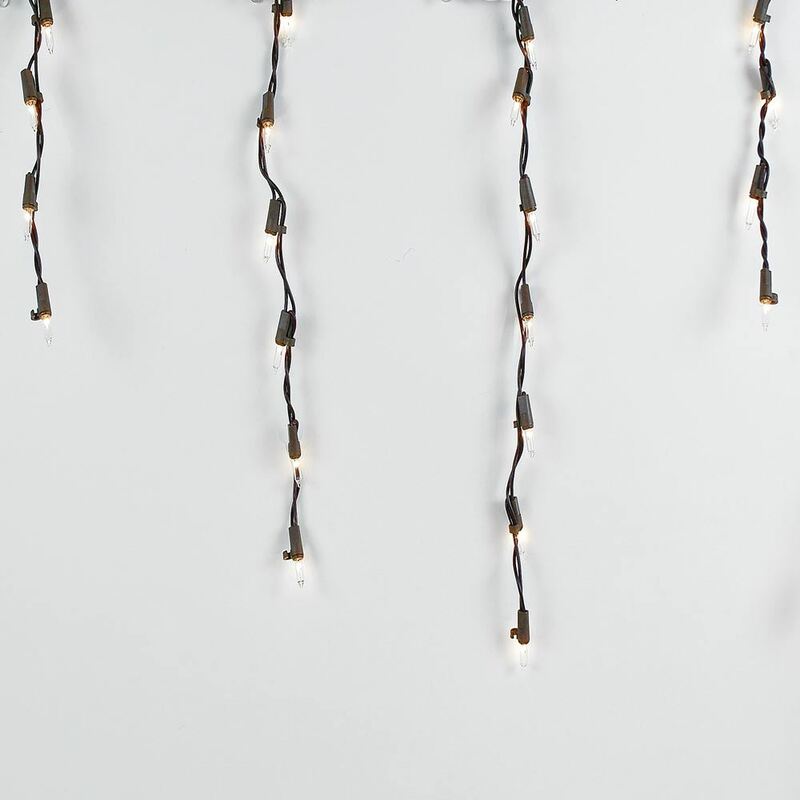 Each set of 9' long Clear Brown wire has 18 medium drops ranging from 9" to 15" with a total of 100 commercial grade icicle lights. 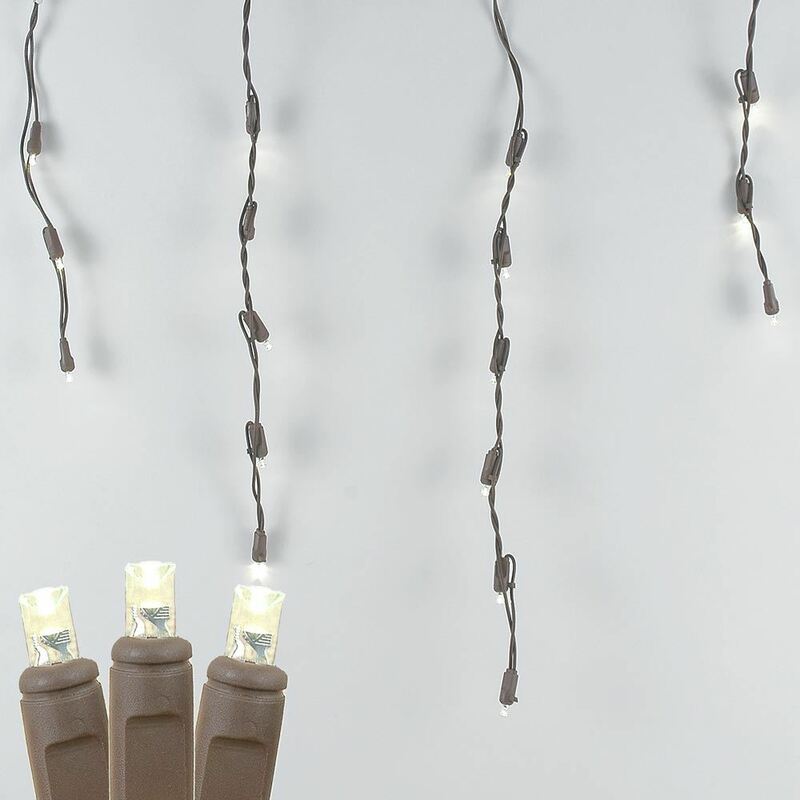 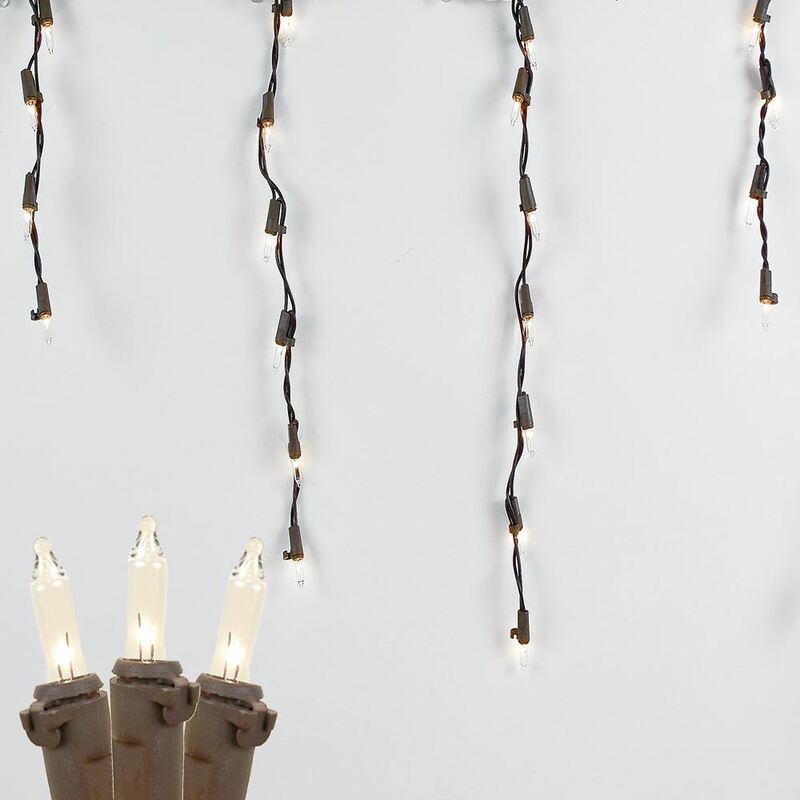 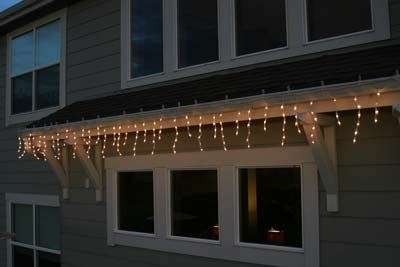 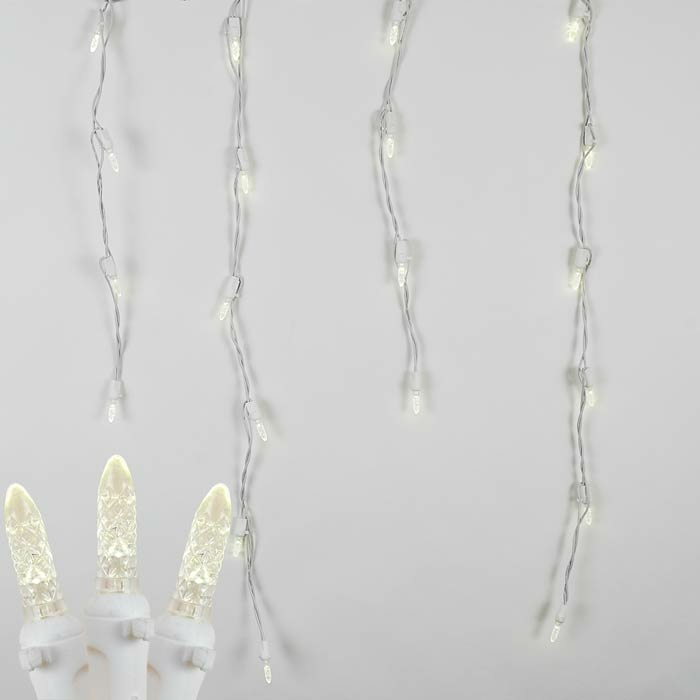 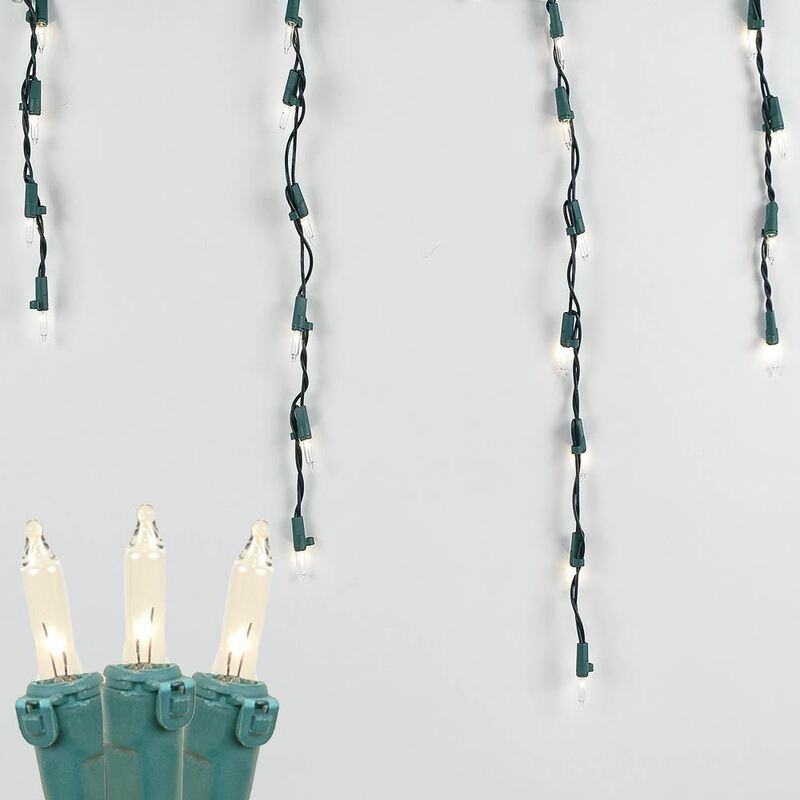 We have designed our icicle lights so that each light is attached to the wire pointing down, which ensures a hassle-free, straight drop that looks spectacular. 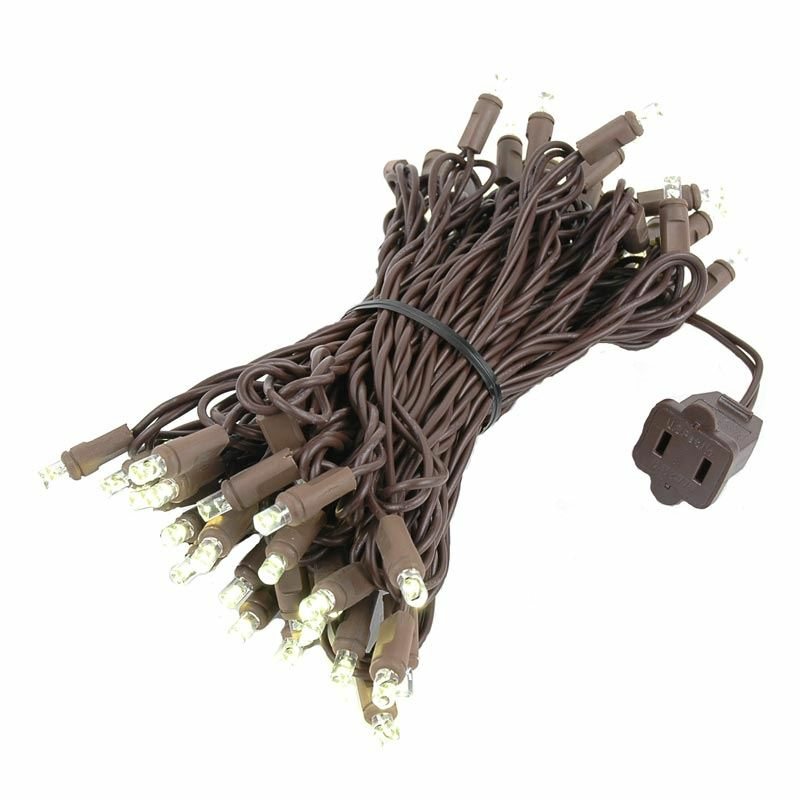 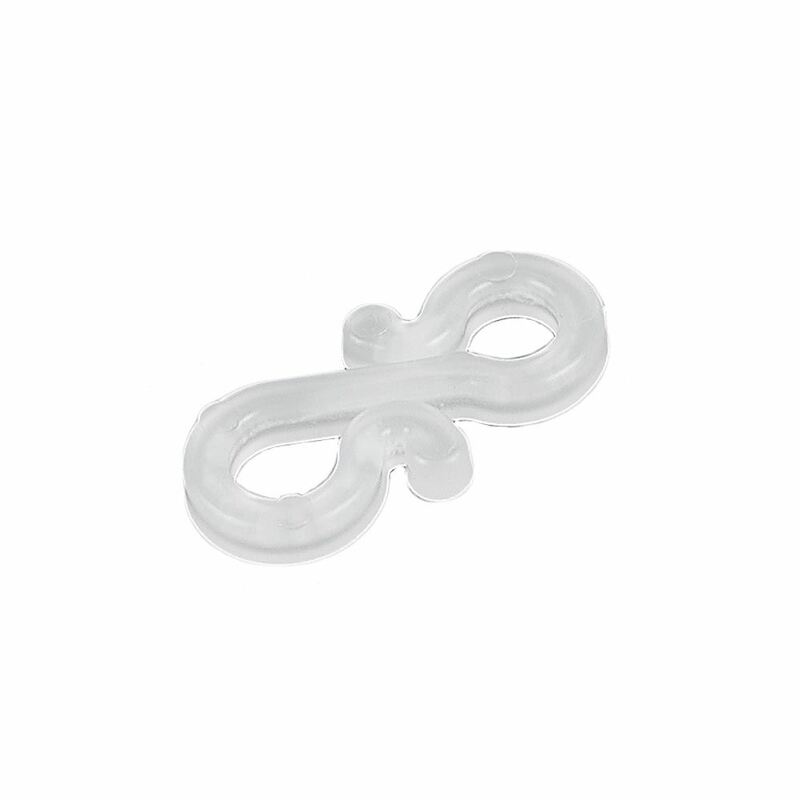 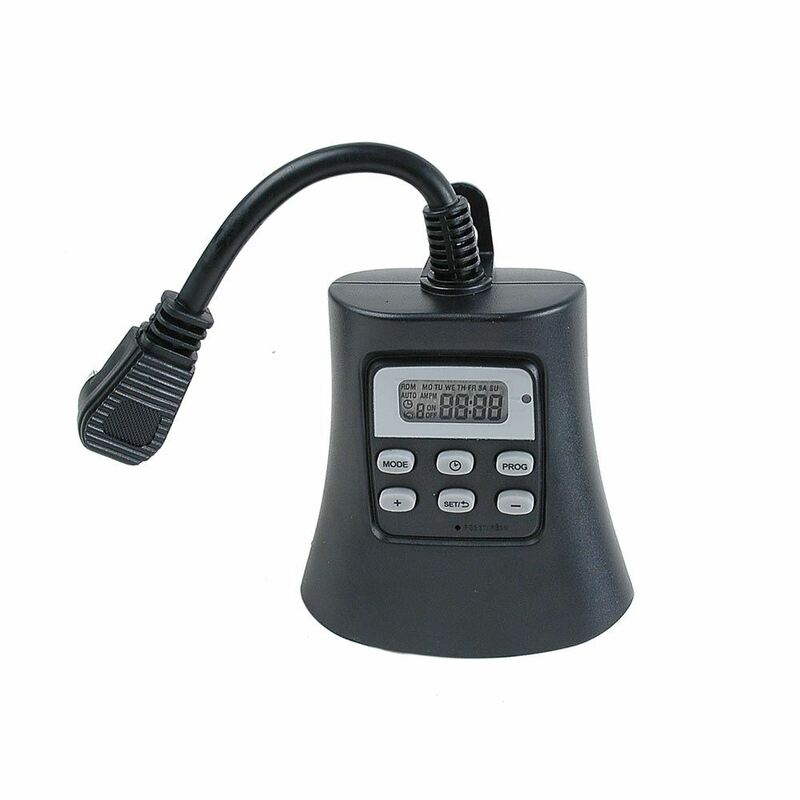 Connect up to 5 strings for a total running length of 45'. 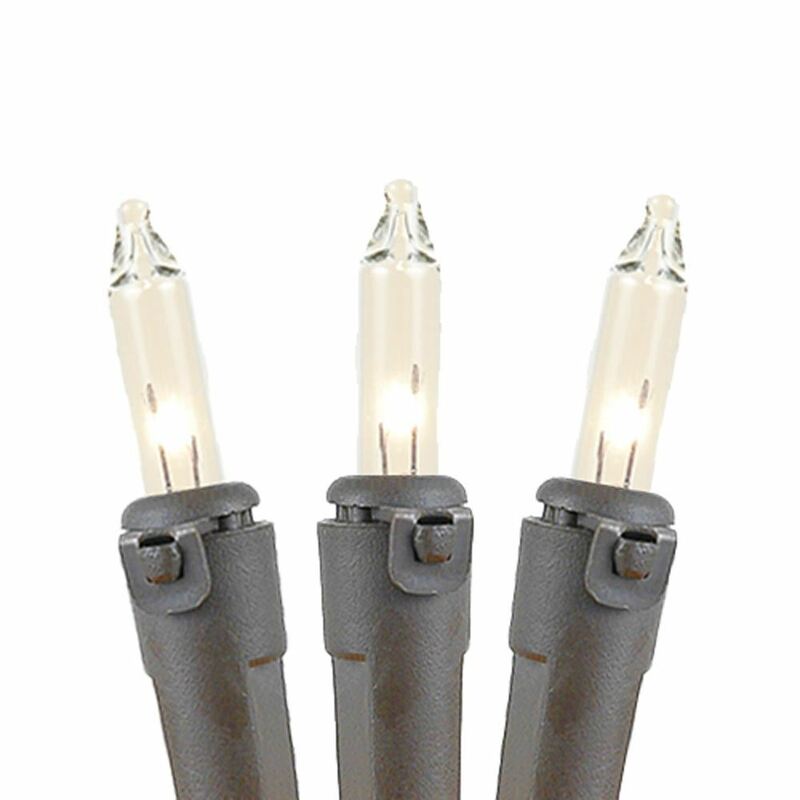 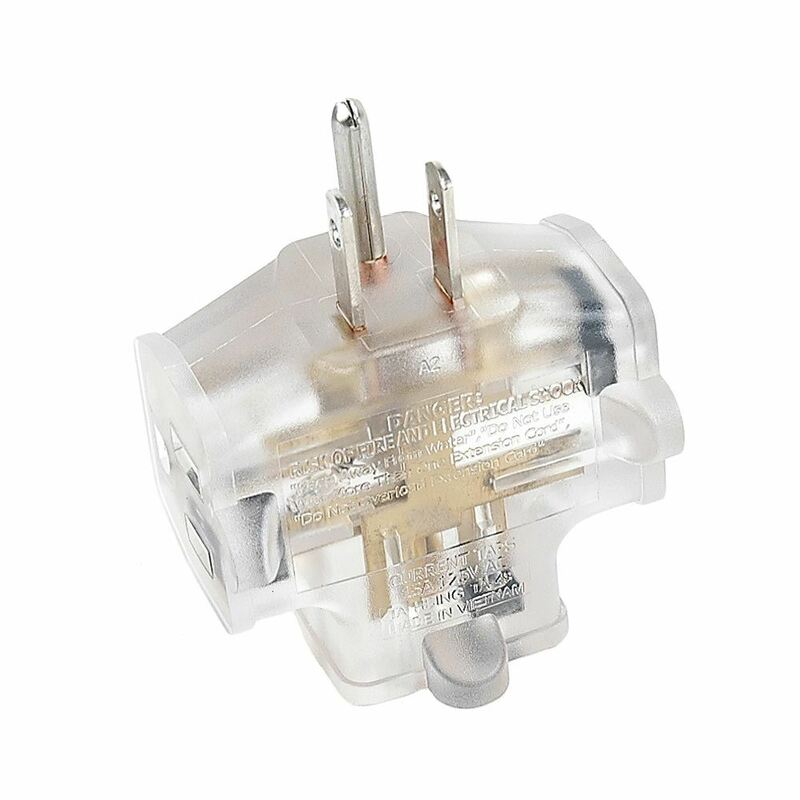 We include 3 replacement lamps with each string and encourage you to buy our commercial grade Icicle Light Clips for quick and easy installation. 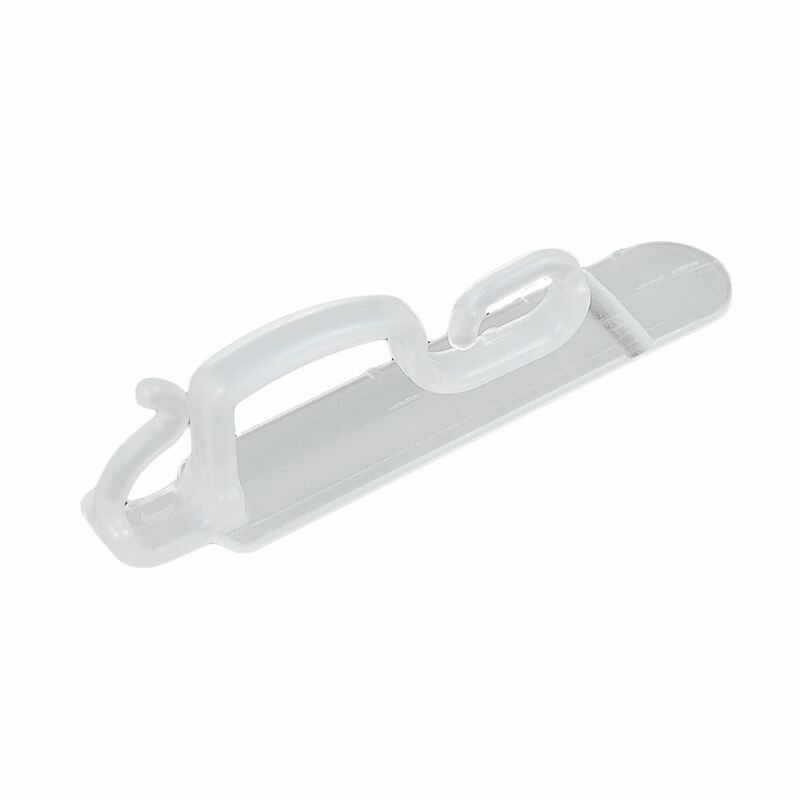 UL listed for indoor or outdoor use.